The time to break silence is right here and now. Womanhood and motherhood are under attack!!! !This book gives a holistic empowerment package to those feeling hopeless, rejected, abused, and undermined in any way. The poems are real-life experiences that you can always derive inspiration from. A mother experienced violence, and her daughter, aged six, stood up and urged her to report. She suppressed her voice and silenced her poetically with a “Shh, we don’t say domestic things in public.” A few years later, the mother died in cold blood after heavy beatings by her husband. 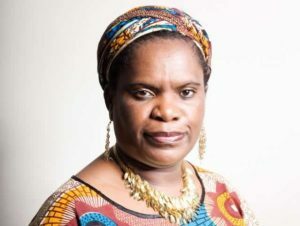 It led Betty Makoni to be a mother at age nine, and the book takes readers through a journey of inner pain that is unleashed when she becomes a globally acclaimed activist. The journey Betty Makoni has trod leaves permanent and visible footsteps. Today, her poetry book takes a new approach to self-empowerment by presenting breaking culture of silence—poetic prose verses in short story form. Easy to read and yet very powerful for re?ection and evoking you. The stories are personal experiences, and there is a poem for everyone to easily connect to a situation similar to their own experiences. The poetic prose storybook is a forerunner of Betty Makoni’s of?cial much-awaited autobiography. Her trials and tribulations as she tried to be a woman, a leader, a wife, and a mother and balance all these roles is an open testimony. Transitioning from being a girl to becoming a woman is with hurdles and hardships, and A Woman, Once a Girl: Breaking Silence takes a sigh of relief that mission is accomplished as one overcomes gender inequality and wars being fought against their bodies and breaks vicious cycles of poverty and gender-based violence. Using simple poetic verse, she has shared everyday stories that may be taken for granted and yet can undermine an individual’s abilities. This book is for anyone defending their rights and those of the most vulnerable. It speaks to you to keep positive energy. Betty Makoni (BA General and BA Special Honors) is a native Zimbabwean and Worldwide acclaimed defender of girls` rights and Founder of Girl Child Network with multiple global awards for excellence, innovation and commitment to girls rights. Through sheer hard work, her organization grew from a classroom to a global level. Her experience of being raped at age six and losing her mother to domestic violence transformed her from a victim to an activist.